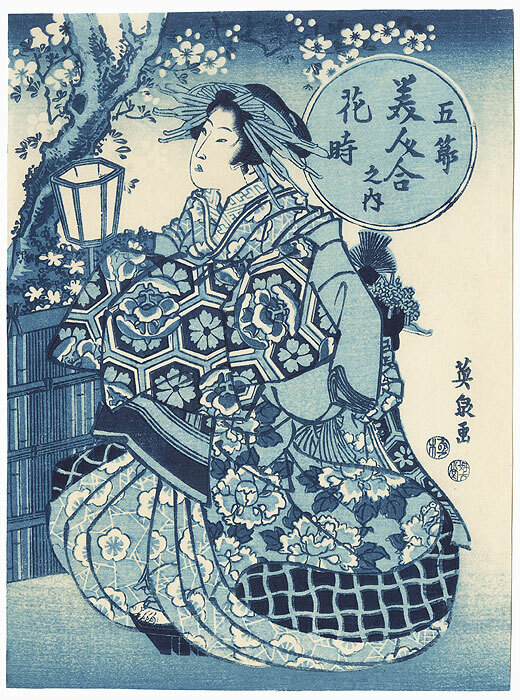 Eisen Aizuri-e Beauties - Attractive design from a series of small reprints of classic Eisen aizuri-e designs. 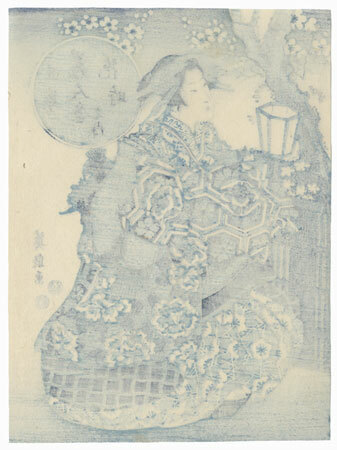 Literally "blue printed picture," aizuri-e are woodblocks printed entirely or predominantly in shades of blue. 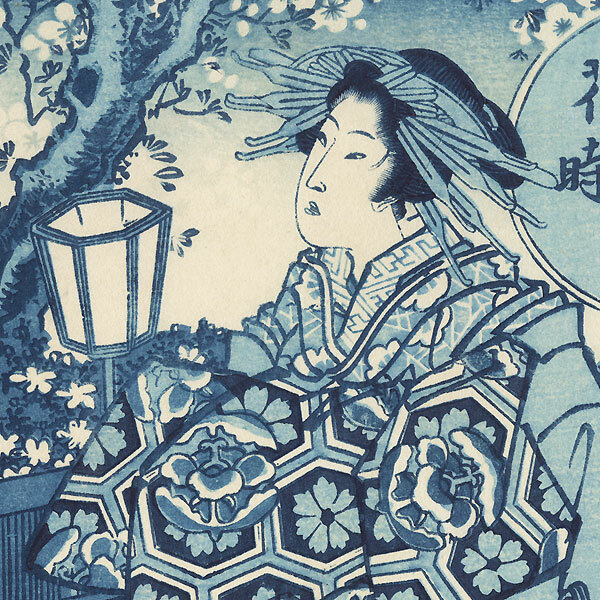 The style became fashionable with the introduction of the pigment Prussian Blue to Japan in the late 1820s. We've never before seen these charming beauty subjects in reprint. Image Size - 9 5/8" x 6 3/4"